Many walkers walk within 50 metres of the entrance of Hebden Horse Level on the footpath down Hebden Gill between the village and the bottom of Mill Lane, without being aware of its existence. 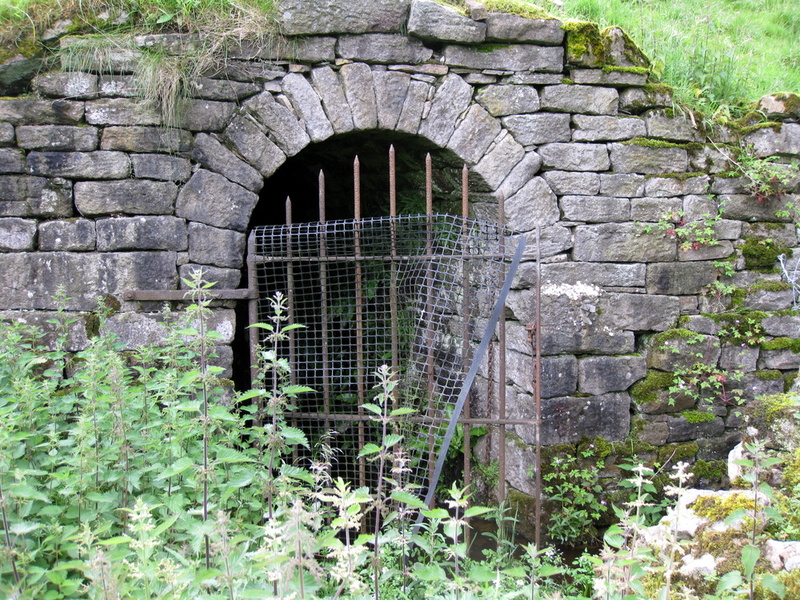 Its entrance is on the other side of the beck at the top of the spoil heap, locally known as Smithy Hill, tucked behind the ruins of the old mine building and protected by a substantial padlocked iron gate. The level is currently accessible to properly equipped and experienced mine explorers for about 400 metres, but the hazards include deep water, an unstable roof, rotting wall props, and bad air. In general, the level was intended to be seven feet high and six feet wide, but it varies according to the stability of the ground. From the entrance the first 80 metres or so is actually in very good condition, with neatly stone-lined walls and roof, and a smooth floor. During the Second World War, the level was used as the village air raid shelter, with duckboards placed over the stream for the first 20 metres. It was never used in anger, but locals remember as kids having to retreat there during air raid practices. During the Cold War it was designated as the local Civil Defence Shelter, but fortunately its efficacy was never tested. The level has always had a plentiful stream running through it, and in the 1980's the local fish farm took advantage of this ready source of water by installing a salmon hatchery. To ensure a constant supply, a 2 metre high wall was built about 85 m in, creating a reservoir behind it some 150 m long. 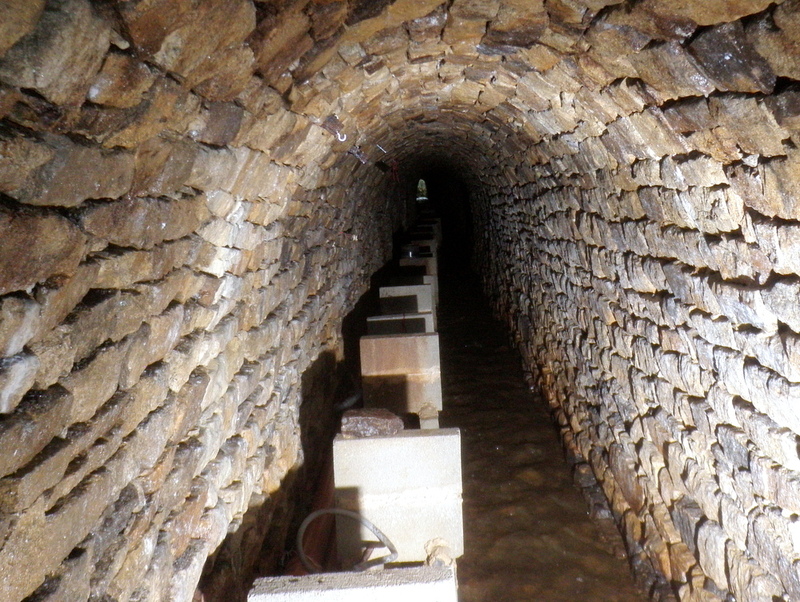 The hatchery was superseded after about ten years, and the dam's outlet pipe was lowered in 2003 to aid exploration. Various plastic pipes, breeze-block supports and the dam itself are all that remain today. The dam is a substantial structure, built in a small chamber where the roof lining gives out. It is necessary to clamber over the wall, and drop down the other side. This used to have a water depth of 1½ metres, gradually shallowing over the next 150 m, but is now no more than ankle-deep. The original depth can be seen as discolouration on the walls. For the next 240 m the going is relatively easy, with the walls sometimes lined and sometimes not. At one point, a small alcove has been built into the wall on the left. The rail tracks can sometimes be distinguished embedded in the muddy floor, and compressed air supports adorn the right hand wall. It has been noted that the level was only accessible for 317 m in 1942, and this was the limit until 2003. At that point, a steeply dipping thick bed of a white powdery material, thought to be fault gouge, had slipped from the roof, and blocked the passage, damming the water behind it to the roof. In 2003 a channel was dug through this obstruction for about 10 m, lowering the water level beyond by a metre and a half. 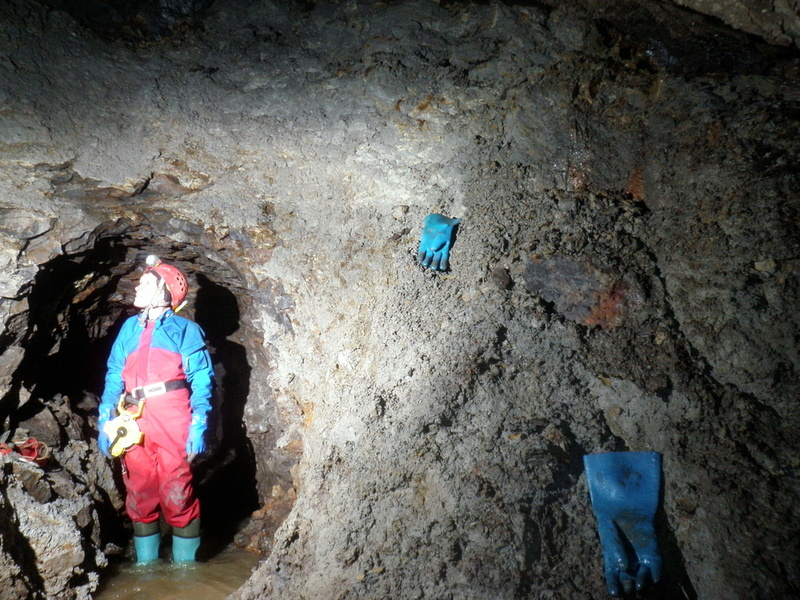 This allowed access to a further 50 metres of passage, which requires wading through chest-deep water and a deep silt floor which had accumulated behind the obstruction, to a similar obstacle. This too was dug through, and a further semi-flooded section with a very slabby, unstable roof entered. A collapse at the end of this can be crawled through, leading to a ponded section where the silt and water reached the roof. This is about 400 m from the entrance, and further progress could only be gained with considerable effort. The air is of poor quality from the first collapse onwards. Photograph of Smithy Hill taken in 2004. Photograph of the entrance taken in 2012. Photograph of the entrance tunnel taken in 2012. Photograph of the dam constructed for fish farming taken in 2012. Photograph showing discolouration on the walls marking the old water level taken in 2012. Photograph of the small alcove marking the old water level taken in 2006. Photograph of a section of passage between the dam and the first obstruction taken in 2012. Photograph of a propped section of passage between the dam and the first obstruction taken in 2012. Photograph of the rail tracks in the level taken in 2006. Photograph of in-situ compressed air tube brackets taken in 2012. Photograph of a shot hole in the level taken in 2006. Photograph showing the section of passage which was dug through, taken in 2012.